Since news broke about JP Morgan’s multi-billion dollar black eye a few weeks back, we’ve pretty thoroughly rehearsed the arguments against too big to fail and too big to manage, both of which apply to JP Morgan even more obviously now than they did beforehand. This morning, a former administration official well-versed in these matters suggested another indication of JP Morgan’s excessive girth: too big to hedge. 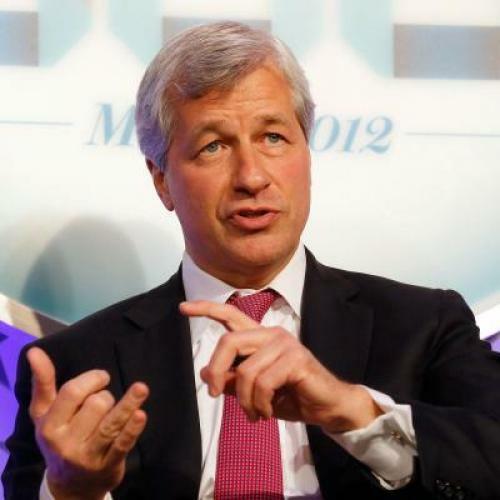 The idea takes Jamie Dimon’s logic—that he needs to be able to protect against the credit risk in his portfolio—and turns it on its head, since one of JP Morgan’s problems was that the trades it used for hedging were so large they moved the market. Everyone on Wall Street and in London could see what it was up to with this particular hedge and was able to punish it by taking the other side of the trade. As a general rule, I’d say that any time you’re so big your hedges invite talk of whales, it’s a good sign you’re too damn big. Now, having said that, it’s hardly the case that hedging issues are the only reason we should want to keep banks nice and svelte. A bank could figure out how to hedge judiciously and still be too big to fail and too big to manage. (One tip for pulling this off: Don’t make the unit that’s responsible for hedging its own profit center, creating incentives for your “hedgers” to take preposterous risks when they’re supposed to be shielding you against them.) But the too big to hedge concept is nonetheless appealing because it makes clear how achieving “mega” scale isn’t just a problem for the rest of us, it’s not even in the megabank’s self-interest.